Days back a video of a 26-year-old MBA student was allegedly lynched by a mob in Manipur. As per recent reports, four policemen, including a sub-inspector, were seen in a video doing nothing to save him who got severely injured in the attack on Thursday. The man died from his injuries later. the policemen were later suspended. 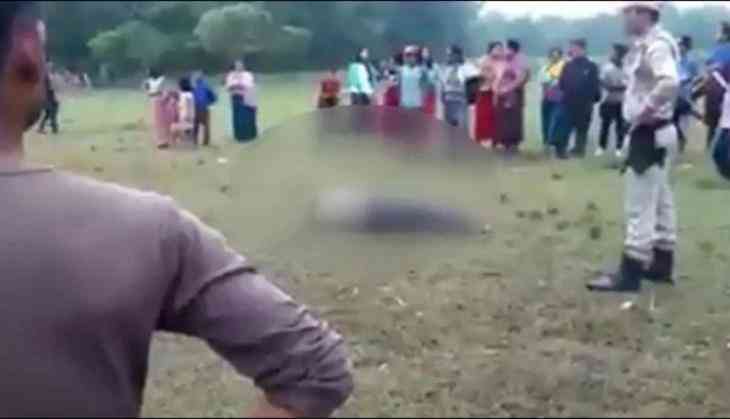 The video of the incident which went viral on social media showed that the four police personnel were "present at the spot when the victim was alive and lying unattended", senior police officer Jogeshwar Haobijam in the Imphal West district told news agency PTI. The 26-year-old Farooq Ahmed Khan, an MBA student was allegedly lynched to death by a mob at Lamsgang in Imphal East district in Manipur over a suspicion of being a bike thief. The incident reportedly took place on September 13th at Tharoijam Awang Leikai.